When it comes to big data and your company database, you will find that it has a lot of potential to benefit you in an extensive way across the world. If you take a look at big data today, you will find that it is lots more than just information and the combination of data sets. With the aid of big data, you can get a lot of insight into your company’s business, and this will assist you in decision-making correctly. Big data has also proved to improve the financial standing of your business. As a business owner, it is imperative for you to understand what big data means and how business intelligence tools can help your company grow. 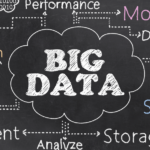 What is big data and how can you make an effective strategy for your business? You need to have a clear understanding of big data and its relation to the database of your organization. Big data has velocity, variety, and volume. This is why you must understand it well to incorporate it in your organization for success. A big data strategy will largely help you to reap benefits to your company. You store data in your database, and you later store, analyze and visualize it. If you take a look in the past, batch processing was the general practice. You received an update every night or week to your database. Your computer and servers took time to process the information. The database used to be updated subsequently. In the era of big data, you will find that data and information is updated in the database in real-time or near to real time. Thanks to the advent of Internet and technology, you will see that this data can be updated in the database the time it is almost created. The speed at which this data is uploaded is outstanding. You can upload nearly 100 hours of video data on YouTube. Companies can send and receive over 200 million emails every minute. Internet users can look at 20 million photographs online every minute. As for Google queries on its search string, there are about 2.5 million entries every million- this is the magic of big data and databases in today’s world. With this speed, organizations, and companies today face the primary challenge on how to cope with this immense speed and use it in real-time for their activities. If you take a look at the past, you will find that all the data that was created was structured in nature. They were fitted neatly into segmented rows and columns. However, now these days are over. Today, the scenario has changed, and you will find there is more than 90% of data that is unstructured. Organizations create this data. In the present time, if you take a look at this data, you will find that it tends to come in many formats. The standard formats are structured data, unstructured data, semi-structured data and structured data that is complex. This means this data in many formats needs a different approach. Experts in the field of big data in the USA remoteDba.com says that the techniques to manage this raw big data should be different as well. The experts here state there are different kinds of data and each of them needs different tools and techniques for storage. Like for example, social media data tends to give your company different insights. This data needs to have a different approach and technique when you wish to use for the progress and development of your business. On the other hand, sensory data provides you with information on how a specific product is used and the mistakes that are commonly made when you are using this product. The volume of big data is increasing day by day. In the last few years it almost reached 90%, and the figures are to go much higher than it has ever reached in the past. Experts state that the amount will double every year and so this means you can imagine the amount of unstructured and other forms of data that are growing every year. The volume is indeed huge, and it plays a vital role in the contribution of data in the digital atmosphere. There are sensors in every device that is creating data every moment. Take for example airplanes- they create about 2.5 million terabytes of data annually from the sensors that are present in their engines. There are experts in the aviation industry that uses sensor data to supervise and monitor the optimization of machines to control the growing fleet of machines for helping farmers to create better decisions. Shell deploys sensors to detect oil in wells. This means if they install sensors in at least 10,000 wells, they will be collecting an average of 10 Exabyte of data every year. Now with the amount of data coming in from different sources at very high speed, what happens if this data is not correct? This will cause a lot of issues for the company, consumers, and business. It is here that companies should take the crucial step of analyzing the data to make sure that they are correct. The process has vital significance even in the case of automated processes of decision-making where humans are not involved. It is important for you to make sure that both the information and the data analyses are correct. Otherwise, there will be a lot of problems for organizations and consumers. The veracity of the data needs to be checked. This means if you are a business owner and want to make your organization a powerhouse of information, it is crucial for you to ensure that the data and the analyses are correct. This is vital for you to make the right big data strategy for the success and progress of your business. Read our expert reviews of leading business intelligence software solutions to select the right tool that will help you get actionable insights from big data.